René Doyon is the recipient of the 2017 Prix Urgel Archambault of Association francophone pour le savoir (Acfas). Pr. 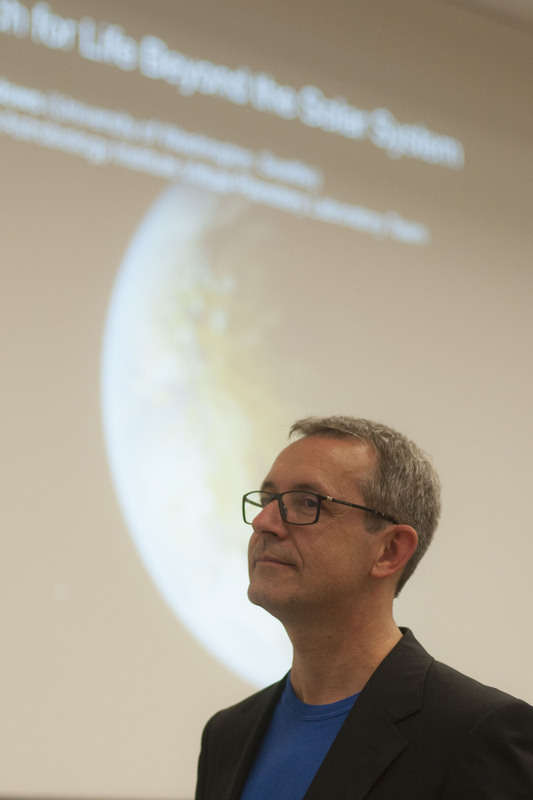 Doyon, professor in the Department of Physics at Université de Montréal, has made his mark in the field of infrared astronomy, astronomical instrumentation, and the detection and study of brown dwarfs and exoplanets. In 2008, he was part of the team of scientists who obtained the first image of an exoplanetary system. He is the leader of several international projects to detect and study exoplanets (planets orbiting stars other than the Sun). In 2014, he founded the Institute for Research on Exoplanets, iREx, which consists of about 40 researchers (professors, postdoctoral and research fellows, and graduate students), and has the objective to answer one of the most fundamental questions: Are we alone in the universe? He is also the scientist responsible for the canadian instrument onboard the James Webb Space Telescope, NIRISS, which is designed specifically to study the atmosphere of exoplanets. Finally, since June 2007, he has been the director of the Observatoire du Mont-Mégantic, which includes the only telescope dedicated to research and training of university students in eastern North America, and that will celebrate its 40th anniversary in April 2018. The prix Urgel Archambault, created in 1953 in honor of Urgel Archambault, the founding Director of Polytechnique Montréal, is awarded to a researcher to recognize the excellence and influence of his or her work and actions in the field of physical sciences, mathematics, computer science or engineering. It recognizes the work of many great Quebec scientists such as Fernand Séguin (1961, outreach), Armand Frappier (1954, medicine,Université de Montréal) and more recently, Yoshua Bengio (2009, artificial intelligence, Université de Montréal). René Doyon is the third astrophysicist to receive the prize, after Gilles Fontaine, a specialist in the study of white dwarfs at the Université de Montréal (1989) and Victoria Kaspi (2007), a specialist in the study of pulsars at McGill University.